I started sailing with bigger trimarans on Lake Champlain, Jim Brown Searunners, a 27 and a 31, finishing up with a Corsair 27. And I’ve gotten in lots of tight spots: cracked an ama on a dock piling on the Chesapeake, ran seriously aground and had to wade out with an anchor and kedge off before the situation would require a dredger and a tow (and that was with the whole family aboard), even once sailed for quite a while in high winds off Valcour Island before realizing that my sluggish performance had to do with the new Honda 8 outboard I was trolling behind the boat connected only by the control cables. For me, sailing small boats has proved to be an excellent testing ground for trying out ideas and then getting real time feedback on what works and doesn’t work under constantly changing conditions. 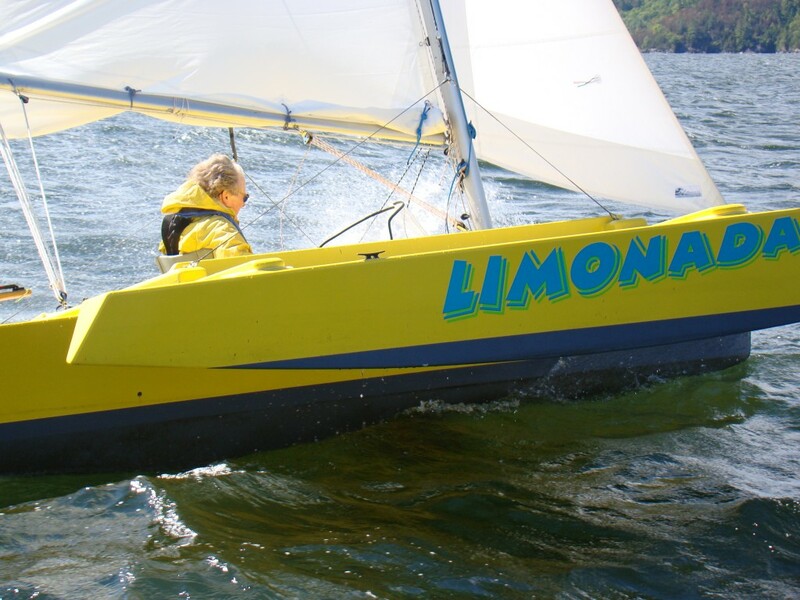 I recently sold my Windrider 17 trimaran. 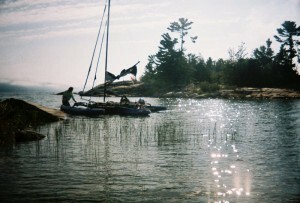 Over a six year period, with input from other WR 17 sailors, I modified the boat for adventure cruising. 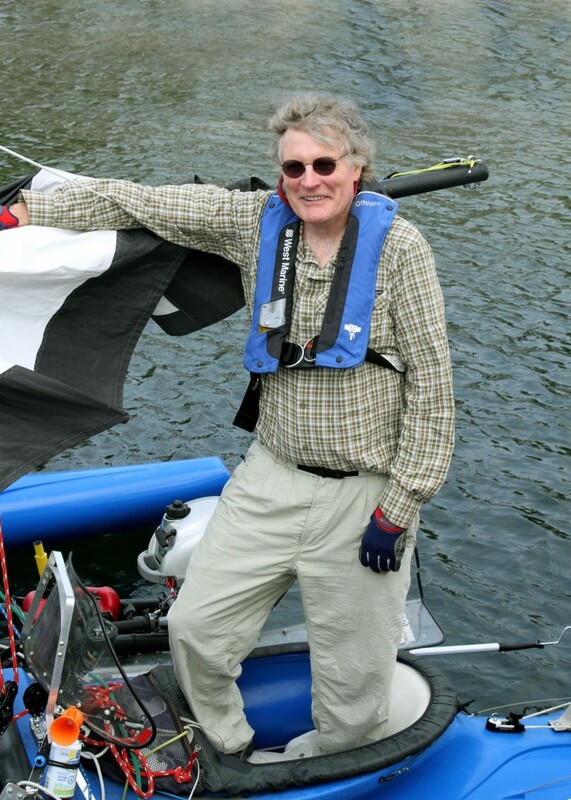 I sailed the boat mostly on Lake Champlain. I also sailed with other WR 17 sailor on expeditions out of Key West, in Core Sound inside the Outer Banks, and three times to the North Channel of Lake Huron. One of my greatest pleasures was making modifications to the boat, and then putting those modifcations to the test on these expeditions. A description of the modifications and on-line articles videos about these adventures can be found here. In 2015 I started the process again, from scratch this time; building a Seaclipper 16 with John Marples. The SC16 is built in plywood covered with epoxy and fiberglass is similar in length to the rotomolded WR17. And I will sail it the same way, from a seated position, with foot steering, all lines leading to the cockpit. The SC 16 has a deep daggerboard and pull up rudder – I think that will help her go close to windward. The single large central cockpit – almost 7′ long and wide plywood benches will be ideal for a pop up tent when camping. And we added plenty of hatches in the hull to provide adequate storage capacity for beach cruising. The SC 16 building project is documented here.